How is it served? - China Restaurant ZEN in Adliswil, near Zurich. Famous for Peking duck and authentic Hong Kong style dim sum with organic ingredient and vegetarian menus. We usually serve healthy imperial Chinese Snacks with China tea, a ceremony that we call Yumcha. 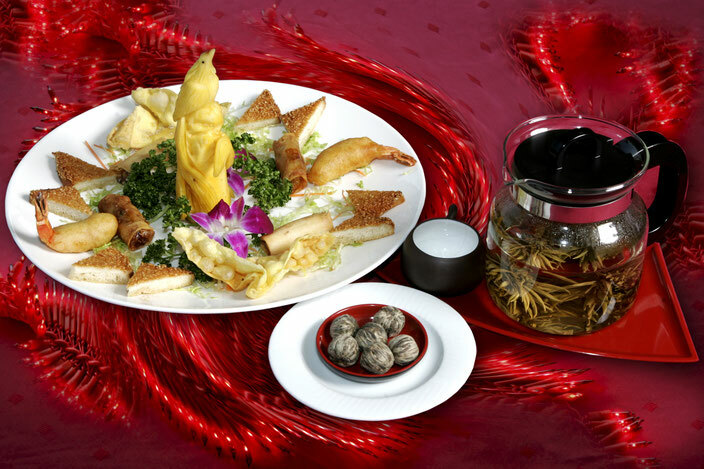 A Dim Sum menu is made up of several “courses”. From a large variety of Dim Sum, the customers may choose those, which whet their appetite, try them and then order the next selection. Those who still have an appetite after several courses of Dim Sum, may order supplementary fried rice or noodles, each with different ingredients. You can enjoy our extensive Dim Sum menu each Sunday lunchtime. Just like in Hong Kong, you can share the many different Dim Sum titbits with your family, and drink tea.